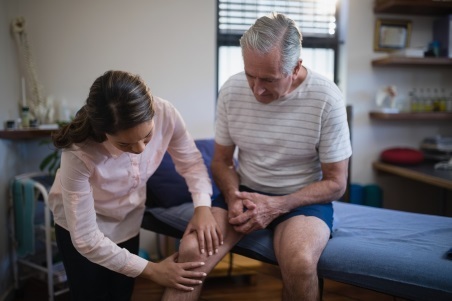 If you have an injury or condition that affects your muscles, joints, or bones, your GP may refer you to a local private physiotherapy clinic for treatment. You have a condition that affects your muscles, joints, or bones (other than the forearm and hand) which makes it very difficult to do your normal work and social activities. Your condition is not covered by ACC. You hold a Community Services Card and could not otherwise afford private physiotherapy. Your GP has tried all other funding options (such as Work and Income Disability Allowance). You agree to attend the physiotherapy clinic, do the exercises and follow the physio’s advice. You could benefit from a short course of physiotherapy. You are 16 or older. If you meet all these criteria, your GP will send an electronic referral to the local physiotherapy clinic, after discussing it with you. The clinic will then contact you to arrange your first appointment. If you have not heard from the clinic within a week, please call them directly. At your first appointment you will need to complete a consent form and paperwork. If you need an interpreter, the physio will arrange this for free. The interpreter will be on speakerphone during your appointment. The funding covers a limited number of treatments over a three to six month period. If you can’t attend an appointment, please contact the clinic to cancel it. If you don’t attend and don’t cancel, part of your funding may be used to cover the clinic’s costs. Your physiotherapist will give you exercises to do at home to ensure you get the best possible result. If you have any concerns between your appointments, please contact your physiotherapist directly. Once you have finished the treatment, your GP will receive a brief report, which will include information about how you have progressed.